Overlooking Dassia Bay, set in 24 acres of beautifully landscaped gardens, the hotel is just a minutes walk from its sister hotel, the Corfu Chandris. 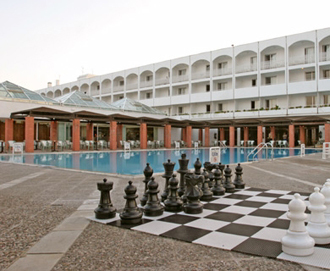 Guests at either hotel have access to all the facilities of the other. The Dassia's 251 air-conditioned rooms with balcony or terrace have a direct-dial telephone, hairdryer, radio, multi channel TV, mini bar and safe deposit box. 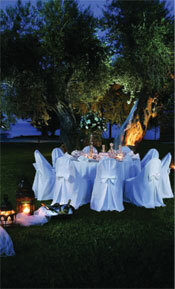 Main restaurant, open-air self-service taverna, three bars, open air cinema, facilities for banquets and gala dinners. Internet access, laundry service, children's services, doctor (on call) and currency exchange. Beauty salon, jewellery shop, newstand, souvenir shop, car rental (on request). 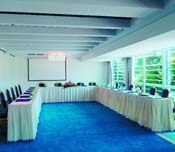 The newly renovated and fully equipped conference rooms can accommodate meetings and seminars for up to 290participants whilst a gourmet dinner for up to 1.000 persons may set at the exquisite gardens.